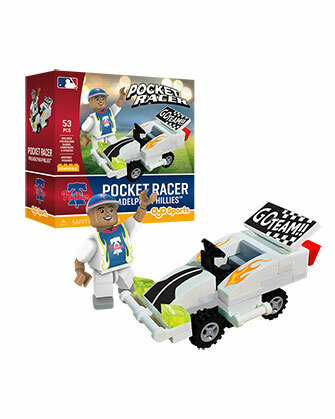 Blast into action with a fun new buildable vehicle - the OYO Pocket Racer! 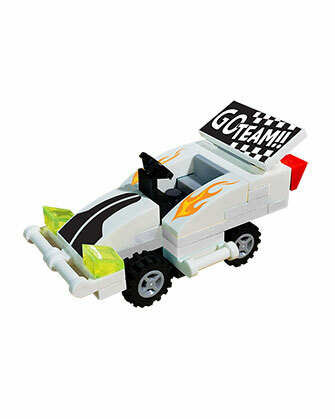 Build a fun race car. This pocket racer is sized to fit on standard race tracks and race alongside your small diecast cars. It fits in the palm of your hand! Take it with you on the go! It comes with sport specific decals to customize your look! 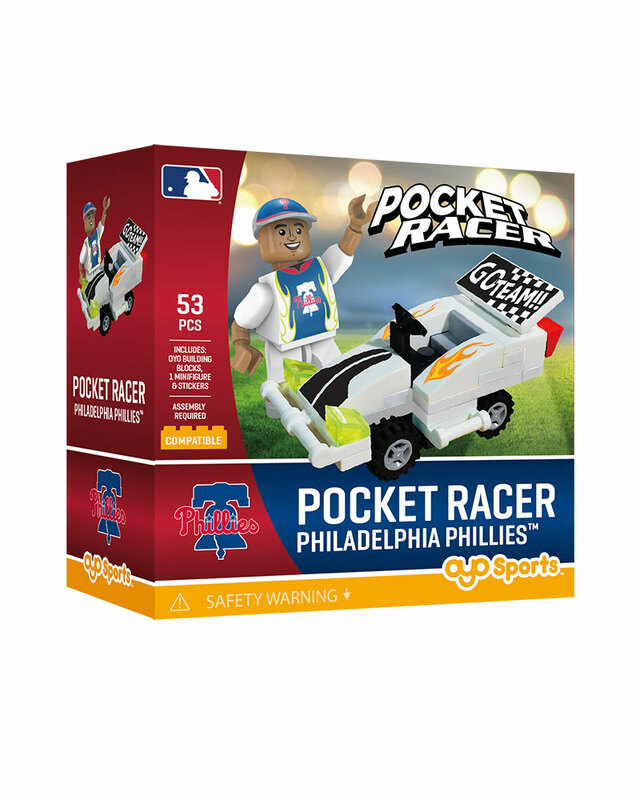 The minifigure that is included is a fan of your favorite team! Printed cap and jersey with logos of your team, both with racing flair! A construction set that is fun to build, and fun for play! •	Your minifigure is created to look like a racecar driver for your favorite team! •	Bendable knees and poseable arms allow for real-action play. •	Boxed Dimensions 3.25" x 3.25" x 1.25", Minifigure Dimensions 1.6" x 1.2 ", Racer Dimensions 2" x 1.5"
•	Compatible with most building block toys. •	Ages 6 and up. •	Printed and assembled in the U.S.A. from globally sourced parts.